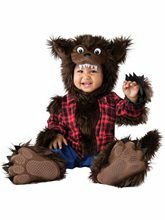 Howling At the Moon Child Costume; Our Werewolf Child Wolf Costume comes with a faux fur grey shirt with tattered plaid shirt attached! 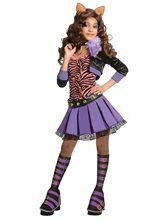 The cuffs and hem are ragged to show off how your transformation had you bursting at the seams! This also comes with a grey faux fur werewolf mask with furry ears, collar, and muzzle twisted into a grimacing snarl!